Author of Rich Greenie, Stuart Barry, is a life-long environmentalist, philanthropist, and is an award-winning financial adviser. He is a public speaker and owner of a successful Tasmanian business specialised in retirement planning for professionals using ethical and green investments. 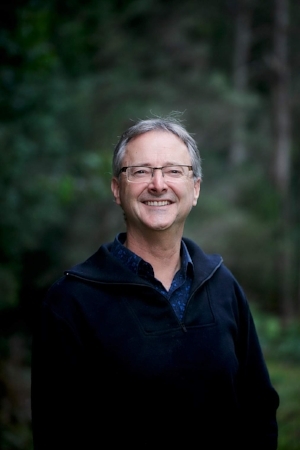 He serves on five boards across a range of social and environmental issues, including as Chair of the Tasmanian Land Conservancy. After 33 years working in the global financial markets, usually as the sole Greenie in a room of stereotypical Gordon Gecko types, Stuart had a light bulb moment, realising that there need be no conflict between sound financial strategies and personal ethics. In deed the way we save, spend and invest our money can be used not only to get ahead, but also to drive change in the world. In this book, he combines his decades of financial expertise with his love of the planet. Stuart Barry is a man on a mission. He is dedicated to educating and empowering people who care about how they can use the power of their finances to live a rich life and continue their great efforts to save the planet, while enjoying a high standard of living.